Raffia and wicker bags have turned out to be a key style staple statement of 2017. From being spotted on the arms of fashionable folk to countless Instagram posts in different styles and colour schemes, there’s no denying the fact that they are here to stay for quite a while more. With that said, today’s #bagoftheday post is dedicated to this striped raffia-effect tote from Truss that has a beautiful story that you will want to hear. Founded four years ago by Elise Durbecq and Gillian Tozer, the brand’s key focus are woven bags produced by artisans from the Oaxacan weaving community in Mexico City. Since its very first collection in 2013, Truss has made a commitment to grow and support the trade, as well as donating proceeds from every purchase to the Fondo Guadalupe Museum which aids in educating and empowering young women who come from underprivileged backgrounds. With the Le Sac Mini, it comes in a 100% polypropene body that’s handcrafted by the same artisans in Oaxaca and takes approximately 24 hours from start to finish. 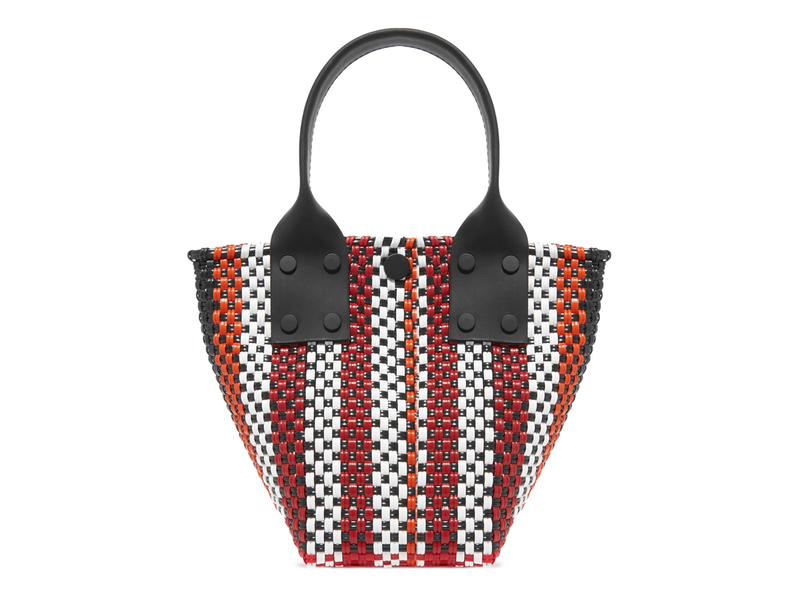 Measuring 19 cm by 14 cm, the raffia-effect tote comes woven in a mix of black, orange, red, and white, making for a cute little number that’s perfect for small days. Better yet, it only costs USD159 each via NET-A-PORTER which makes it a steal, on top of supporting a great cause. Great bag, good cause. Definitely a win-win if you ask me.